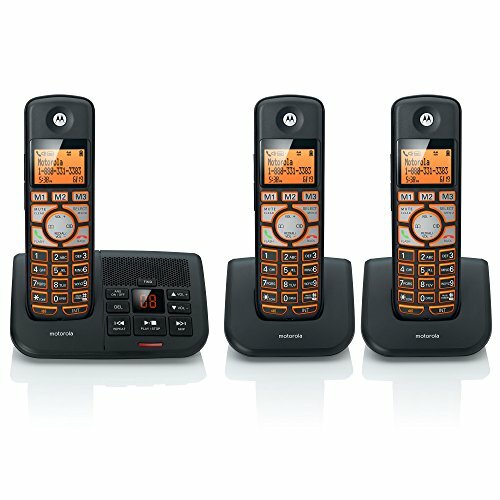 The stylish and practical Motorola K703B digital cordless phone with three handsets is everything you need in a home phone system. It’s fully equipped with secure crystal clear DECT 6.0 technology, 3 speed dial memory, caller ID* with 30 last call storage and answering machine with 15 minutes recording time. The large backlit keypad, large backlit display, audio boost button and extra loud speakerphone and ringtones help make this the optimal home phone user experience. Answering machine with up to 15 minutes recording time. Dialing is a breeze with large backlit buttons and display. 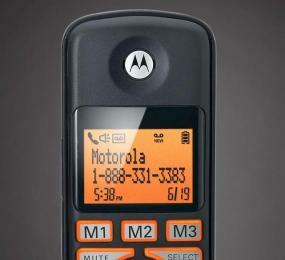 Dect 6.0 transmission gives you secure calls with virtually no interference. You can use your handset with confidence that your wireless devices will continue to work optimally. The K703B's large LCD display makes it easier than ever to see and use. A backlit keypad and bigger buttons make dialing a breeze. Hear your calls clearly with the extra loud ringtone option. The K703B also has amplified volume output with adjustable frequency tone, and extra loud handset speakerphones to assist those with hearing challenges. Up to 15 minutes of recording time allows you to save or receive messages without worry that your caller will be cut off. Don't miss another important message. 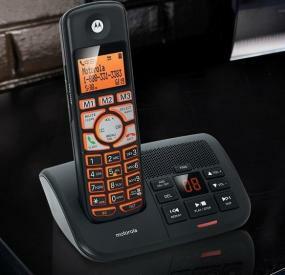 Stylish and practical; the Motorola K703B is everything you need in a home phone. 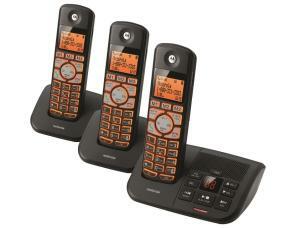 Motorola K703B Cordless Handset with main base, two extra cordless handsets with base, three power adapters, three rechargeable battery packs, telephone line cord, User's Guide, and Quick Start Guide.